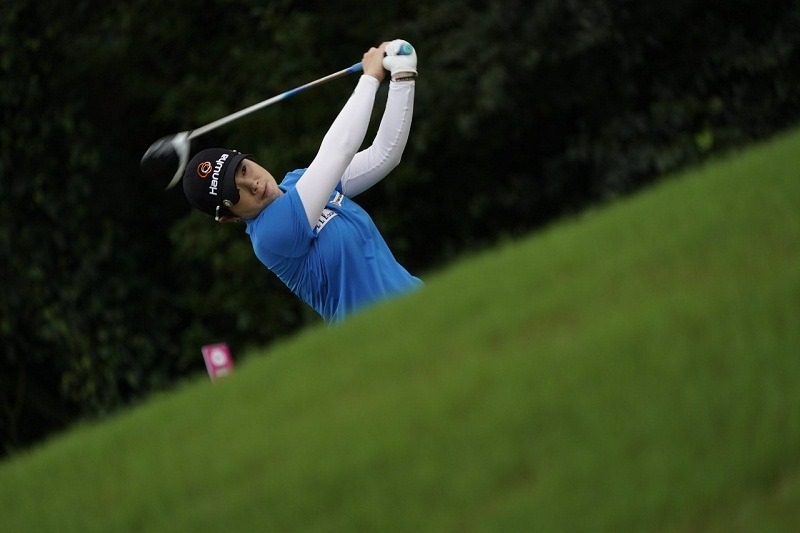 Eun Hee Ji of Korea Ji maintained her lead throughout the LPGA tournament at the Miramar Golf Country Club in New Taipei city, clinching her win with a 7-under par 65 in Sunday's final round. TAIPEI - South Korea's Ji Eun-Hee bagged her first victory in eight years after beating former world number one Lydia Ko at the LPGA Taiwan Championship Sunday. Ji had maintained her lead throughout the tournament at the Miramar Golf Country Club in New Taipei city, clinching her win with a 7-under par 65 in Sunday's final round. It is the 31-year-old's third career win on the LPGA Tour and her first gold since the US Women's Open in 2009. "I was waiting for this moment for so long, so I'm super happy right now," said Ji. She finished 17-under par overall, six points ahead of runner-up Ko of New Zealand. Ko also shot an impressive bogey-free 7-under par, but it was not enough to close the gap on Ji. The blustery weather over the first three days of the tournament took a toll on some players but it cleared up for the final round. "I think we were all worried about the weather at one stage," said Ko. "I played really solid today," she said. Five players tied for third place, including current world number one Ryu So-Yeon, also of South Korea. Ryu struggled in the previous rounds but secured her spot after carding a 7-under par 65 Sunday. South Korea's Ji Eun-Hee bagged her first victory in eight years after beating former world number one Lydia Ko at the LPGA Taiwan Championship Sunday. Ji had maintained her lead throughout the tournament at the Miramar Golf Country Club in New Taipei city, clinching her win with a 7-under par 65 in Sunday's final round.